The Most Exciting Winemaker in Spain? de Montille is one of the most storied names in Burgundy, producing notably long-lived wines from prime holdings in Volnay and Pommard. In recent years, though, they’ve expanded their white program and are now one of the preeminent producers of white Burgundy. Most of this stems from Etienne de Montille’s appointment as the head of the Chateau du Puligny-Montrachet in 2002, where he oversaw a revitalization of the estate and paved the way for his family domaine’s acquisition of it a decade later. Those prime holdings, combined with Etienne’s passion for white wines and winemaker Brian Sieve’s touch with the grape, have catapulted de Montille into the conversation as one of the best producers of Chardonnay in the Cote d’Or. 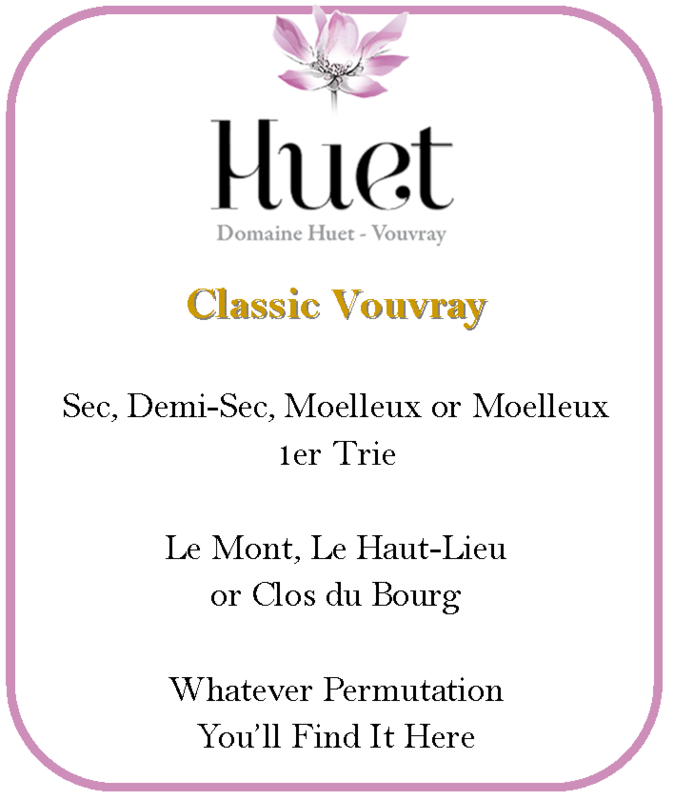 We have a small allocation of their 2016’s (a top tier white Burg vintage) arriving at the end of the week and would urge any lover of white Burgundy to put these in their cellar en masse. Perhaps no vigneron exemplifies the New Champagne like Ulysse Collin. Born to a family of grape-growers, he worked tirelessly to free the family land from contracts selling fruit to negociants and now vinifies all of his wines as single-vineyard/vintage bottlings. His wines are profoundly introspective and challenge preconceived notions about what Champagne should be. At the forefront of the new wave of ultra-terroir-driven Champagnes, Olivier produces deeply vinous, mineral and hyper-concentrated wines. True to their terroir, these are reflections of the individual parcels. These wines are exceptionally rare and we’ve just received our allocation for the year, arriving next week. Let’s pour one out for darker rosé. Not five years ago, Tavel was the toast of the town—a serious pink wine for those who wanted arosé with guts. Oh how times change. Now, anything darker than a very pale salmon seems to draw a critical eye. Of those rosés not blessed with a pale complexion, the skepticism ranges from “is that sweet?” (as if color, from the skins of grapes, and sweetness, from fermentation, are related) to a desire to only drink rosé that goes down like water. This is a shame—there’s a lot of delicious rosé out there that ranges from medium-pink to nearly red. At the table, the stuff is incredibly useful. It can fill the role of a red with foods off of the grill like burgers, chicken and lamb as well as well as being a slightly fruitier aperitif. The boldness of the wines better matches the garlicy, spicy flavors of southern Italian and Provencal cooking than its paler siblings, but somehow, still, it’s ignored. We want to change that and so here are a few of our favorite rosés (and a few Italian rosatos) that are a bit gutsier than the current pale and light fashion. These are wines that are delicious at the table (and by themselves) but seem to be overlooked based on their color. Try a few! A classic pairing with lamb, it’s great with burgers, too. Tastes like a Chianti, but more refreshing. 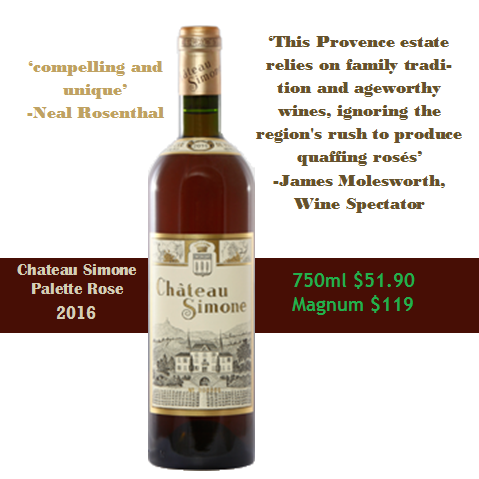 The ne plus ultra of richer, darker rosé. Hot shot grower making mineral, racy rosé with power. This wine is both/neither red nor rosé but it’s perfect with dinner. A rosé with a strong sense of itself and surprising brightness. Top Chianti value, perfect for pizza or steak night. Is there a better value in the Northern Rhone? Profound and <$40. Classic, high quality Pinot Grigio at top pricing. 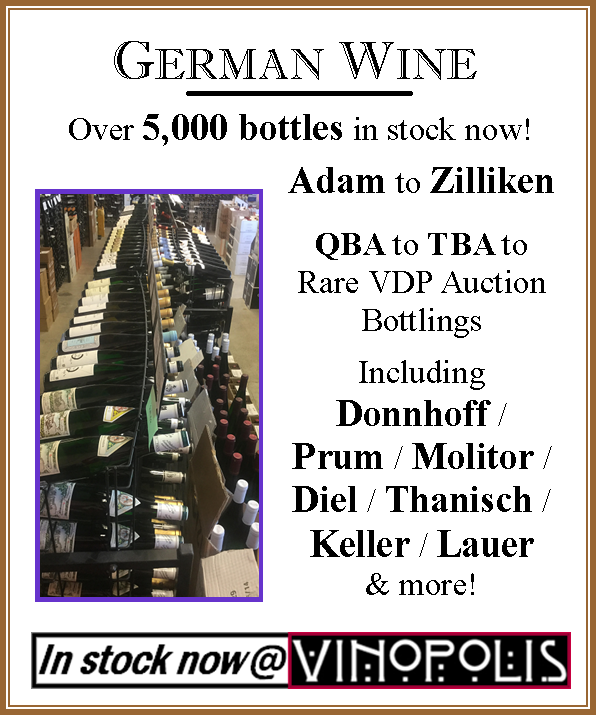 The Alto Piemonte continues to a be a hot area for collectors. Buy it by the case, drink it by the case. Repeat. Gewurtz may be the most perfect white for spring. Raul Perez has emerged as one of the most exciting Spanish winemakers of the last few years. He’s done it in an interesting way: not by making over-the-top big fruit and oak bombs, but rather by honing in on the terroirs in Galicia, a relatively unromantic vinicultural region. Until the late 1990’s, when his mentor Alvaro Palacios started the Petalos/Descendientes project, most of the wines in the region were sold locally, often to pilgrims on the Camino de Santiago. Since then, a number of new wineries have popped up, but most of them are in the Palacios mold—made from around the warm, Mediterranean-climate village of Corullon. Perez, on the other hand, has walked a different path and focuses on wines made from Atlantic-influence climates in villages like Villadecanes or Cacabelos. As a result, the wines tend to be impressive, but in an introspective, earthy way. Winemaking plays a part in that, as well. Perez prefers indigenous yeasts, neutral vessels and a lot of whole-cluster fermentation in his wine. Citing the (unlikely) influence of Bartolo Mascarello, he performs a long post-fermentation maceration on his wines as well, which give the wines powerful, yet elegant, structures that complement food exceptionally well. When you roll all of this together, you understand why Perez is making waves—these are unique and exceptional wines that show off terroirs previously unexplored by serious winemakers. There may be no more ambitious winemaker in the world than Marcus Molitor. His determination and drive to make the best possible wines has made him a towering figure in the Mosel, with an impressive, modern winery and holdings in almost every important vineyard in the region. This drive also means there are a lot of different bottlings—Molitor believes that every single sub-parcel and selective pick should be vinified to its utmost potential. This is the essence of the brilliance of Marcus Molitor. Most winemakers would pick once or twice (or three times) in a vineyard and vinify many lots together—it’s easier and the wines are good. Molitor, though, asks what each parcel and pick would be like on its own—treated as if it were a wine of distinction rather than a blending component. This is a lot of extra work and requires time and space that most winemakers would rather not spend, but the result is a dizzying number of bottlings that all strive toward perfection. 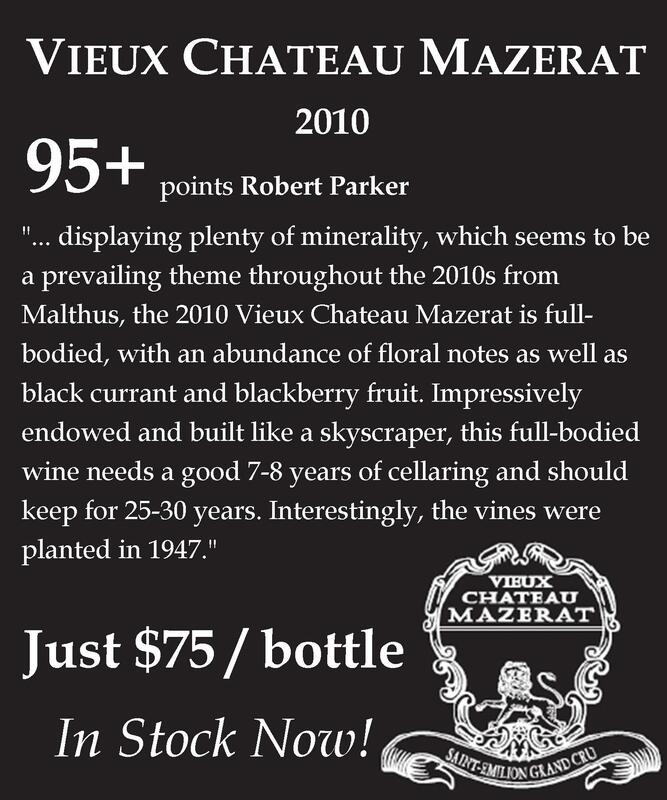 The critical praise backs this up—Marcus Molitor’s wines are some of the most lauded in the world. Whether white capsule (dry), green capsule (off-dry), or gold capsule (fruity to nobly sweet), he manages to produce wines that captivate and astound. 2016 is among the best vintages he’s produced, possibly better across the board than the lauded 15’s. We’ve brought in as many of these excellent wines as we can—far too many to list here (49 different wines, from a few vintages). You can view them all on our website by clicking here or check out some of the highlights below. Want to see all 49 Marcus Molitor bottlings available now in our web store? 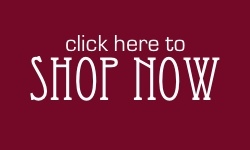 Just click here to view them and shop now! Rarity and quality drive the Burgundy market. There’s no other way around it—high quality, scarce wines appreciate and become scarcer and more expensive. A prime example: Olivier Bernstein’s high flying Grand and Premier Crus. Olivier Bernstein founded his micro-negociant in 2007, choosing to buy grapes from only the best vineyards he could find. As a result, they’ve become incredibly hot items, reference points, really, in the Burgundy world, due both to that magic touch and the tiny, tiny amounts they’re produced and imported in. (Less than 30 six-packs of many of these wines make it to the US. )These are wines for serious collectors looking for the pinnacle of Burgundy (or for excellent arbitrage opportunities). The 2016’s are stunning wines, as are a few remaining 2015’s we have on hand. 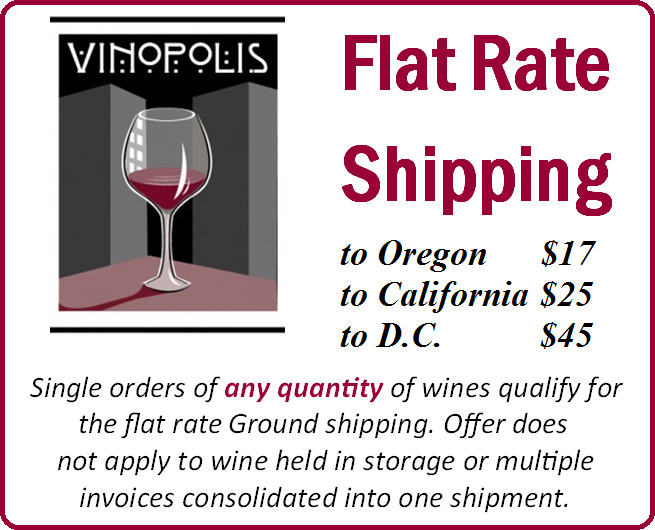 We were able to negotiate a large allocation of these wines, though quantities for each individual bottling does not exceed 6 bottles. Many shops might not let these hit the open market, but we’d like to think that anyone interested should have a shot. Act quickly, though, it’s first come, first served. Looking for more Olivier Bernstein? Check out a list on our webstore, home of 14 different bottlings, by clicking here.